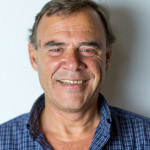 Walter E. Baethgen is the Director of the Regional and Sectorial Research Program and leader for Latin America and the Caribbean in the IRI at the Earth Institute, Columbia University. He acted as Director of the Agriculture and Food Security Center at Columbia University between September 2016 and June 2017. He has been establishing regional research and education programs that aim to improve climate risk assessment and risk management in agriculture, health, water resources, and natural ecosystems. Between August 2010 and April 2012, Baethgen acted as Distinguished Lead Scholar of the NEXUS program of the Fulbright Foundation, which aims to inform the elaboration of policy with scientific research. Before joining the IRI, Baethgen was a senior scientist in the Research and Development Division of IFDC, where he worked mainly in Information and Decision Support Systems for the Agricultural Sector (1987-2003). In that role he established and coordinated regional research programs in Latin America in collaboration with national and international organizations. Baethgen has acted as a consultant for the Inter-American Development Bank, UNDP, UNIDO, FAO, the IAEA, The World Bank and IICA. He also acted as consultant for the governments and for the private sector of several countries in Latin America. He was a lead author for IPCC’s Second (1995) and Third (2001) Assessments Reports and contributing author for the Fourth Assessment (2007), as well as the review editor for the IPCC special issue, Methodological and Technological Issues in Technology Transfer (2000). He serves or has served as a member of scientific advisory committees of several international organizations including the CGIAR Science Council, IAI, CIIFEN, VAMOS-WCRP, IGBP, and WMO; and has been an editorial board member of several peer-reviewed journals. In 2010 he received the Morosoli de Oro award, considered one of the highest recognitions of contribution to Uruguayan culture. Baethgen obtained his PhD and MS degrees in crop and soil environmental sciences from Virginia Polytechnic Institute and State University, and his BS in agricultural engineering from the University of Uruguay. He has more than 200 publications to his credit.